18% in taxes by not staying at a hotel! smoker; everything to prep great meals. 7-year old house a clean and bright feel. sunsets and enjoy the natural water features, with fountains out back and the front courtyard. Three car garage and plenty of parking make entertaining a must. where local artists sell Native American art. and is 1.25 hours away. 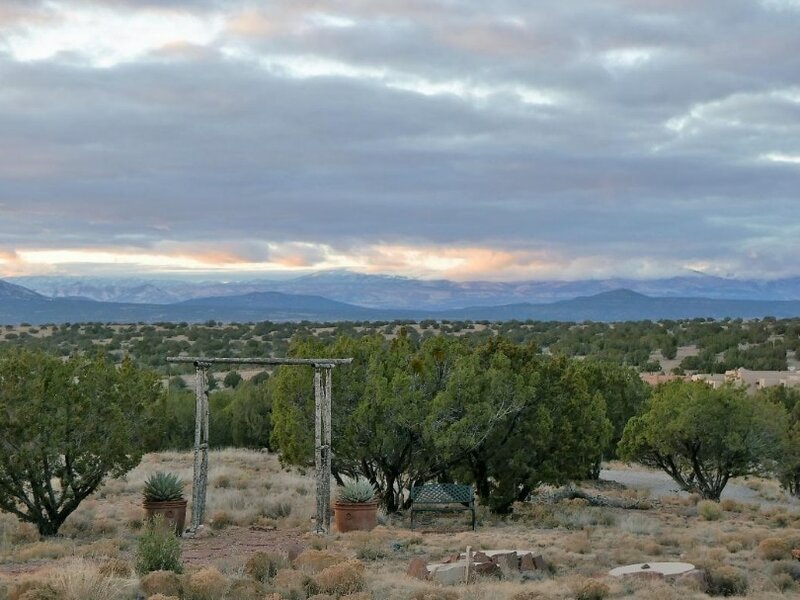 make your visit to Santa Fe one of tranquility, fun, and unique experiences. With first rate Southwestern cuisine. During the winter holidays, glowing luminaria frame the homes and galleries throughout Santa Fe-- beckoning you to visit. The travel magazine Conde Nast just awarded Santa Fe #13 of their favorite ski resorts in all of north America. number #1 ski town in the U.S. So glad you liked our home. You're always welcome to return. in the area. Fabulous weekend in a beautiful house!! Jana was a joy to work with. Hope she returns. PH: 818-225-7991 (office) and 818-642-6632 (cell).